Gambling is a major problem especially among those who are not that well-acquainted with the world of gambling. Those who gamble for simple recreation tend to be unaware of many things about gambling like the fact that no deposit bonuses have strict wagering requirements. They are the ones who are likely to suffer the worst consequences of gambling addiction. 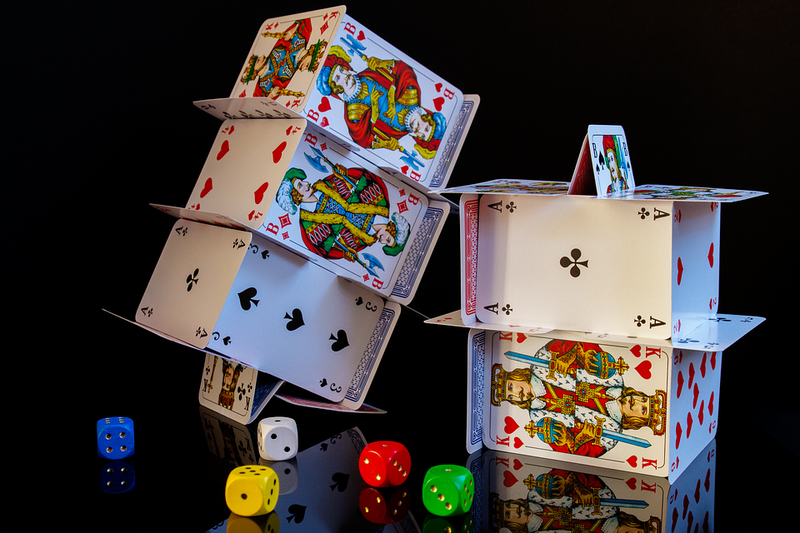 Featured below are four notable real-life gambling stories that should warn everyone to be mindful of the risks of gambling. This is the story of Tala, a housewife who fell to gambling addiction. Tala is a working housewife with a well-to-do family. She was casually introduced to gambling as a usual part of recreation. She and her family used to go to concerts and dinners and then do a little gambling. After her first experience with roulette, she knew she loved doing it. She had a good time. Little did she know that she was already spending around $5,000 a week. There were many instances when she lost, which made her feel frustrated, angry, and sometimes unable to sleep. However, these did not prevent her from gambling even more—until she became indebted. Problems started emerging. Her relationship with her husband started going sour. Tala estimates that she lost around $100,000 to gambling over the years. Entrepreneur Chen had a decent business but when it suffered from a slowdown, he thought he could compensate for the lower income by gambling. The first time he gambled, he spent $250. He was able to double this amount after a day at the casino. He was so ecstatic with the win that he thought he would do it again. Unfortunately, in his second time at the casino, he lost $500. This loss, however, did not stop him from gambling over and over again. This went on for four to five years until he realized he already had a gambling addiction problem. Thankfully, he met intervention and willingly submitted himself to counseling. Miguel, a migrant to Canada from El Salvador, lived a modest life. However, when he was introduced to a casino one night after work, his interest in gambling commenced. He started frequenting the casino and losing $40 – $50 biweekly. Then it became losses of $40 per day until it came to a point when he lost as much as $700 at the slot machines in a day. Miguel had to work another job just to fund his gambling addiction. He also resorting to taking loans and cash advances from credit cards. When his wife received a $10,000 insurance compensation, he took the money and used it to gamble. His life became miserable and it affected his relationship with his family. Even younger people become victims of problem gambling. Oliver was in his early 20’s when he started gambling. At first, he willingly lost around $200 a night. Later on, the losses ballooned to $2,000 to $3,000 for a single night. To sustain this unhealthy habit, he had to work harder to the point that he had to sacrifice sleep. He later on realized what kind of problem he has gotten himself into. He reflected on how he was attracted to gambling as it supposedly offered him a sense of control. He thought whatever happened when he gambled was fully under his control because he actively made decisions on all them. He belatedly realized how wrong he was as gambling affected his personal, work, and family life. These are real stories featured on the Responsible Gaming Council website. Thankfully, all of them ended positively. Help came, and the problem gamblers accepted their situation. It’s never too late to examine oneself for a possible gambling addiction problem and to seek help.